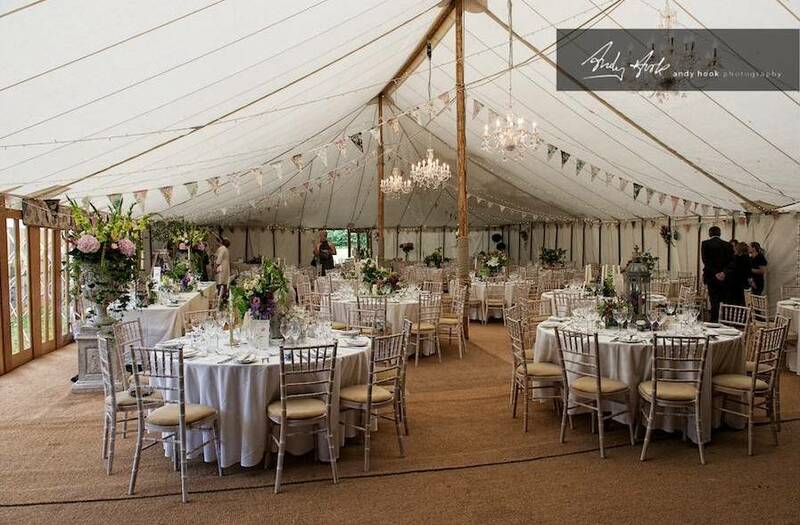 A blank canvas to decorate, with some venues you find you have to decorate to hide pieces, with a marquee you have a clean blank slate to work with. VS It can take a lot of decorating and more cost to dress the marquee and get the effect your after. You can choose any caterer you like and have more opportunity to negotiate with them. VS You will need to spend more time getting them familiar with your venue, they will have to bring in and set-up a kitchen and hire outside wait staff. You can buy your own beverages saving a lot of money. VS You will need to consider how you will keep everything chilled, where it will be served and staff to serve it. You can start, finish, leave whenever you want. VS You may have problems with noise if you are in a residential area and you will have to clean everything up- but usually that can wait until the next day. You can do whatever you like, kind of... VS You have to hire everything in; flooring, tables, chairs, crockery, glassware etc. You can set-up whenever you want. VS Being outside you are exposed to the elements which can cause problems and you may need to hire security to keep an eye on everything. Well those are the main points to consider when tossing up between a wedding venue and a backyard marquee. Please get in touch with us through our contact page if you need any help with your big day.